North-eastern Thai food that's been pleasing an appreciative crowd of Shepherd's Bush locals, including plenty of expat Thais, for more than two decades. 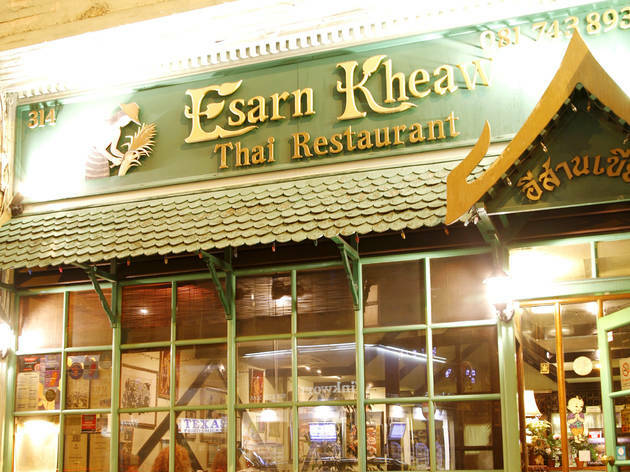 For more than two decades, Esarn Kheaw has been serving up north-eastern (Esarn) Thai cooking to an appreciative crowd of locals, including plenty of expats. The rather dark dining room, complete with a mural of rice farmers and pictures of the Thai royal family, may be starting to show its age, but the cooking is as good as ever. Chargrilled beef served in tender strips with onion, coriander and plenty of lime offers a gentle introduction to the food of the region, while the finely minced catfish, anchovy and green chilli dip (num prik pla sod) with raw vegetables is redolent of fermented fish and displays uncompromising chilli heat: a dish best left to seasoned Thai food fans. 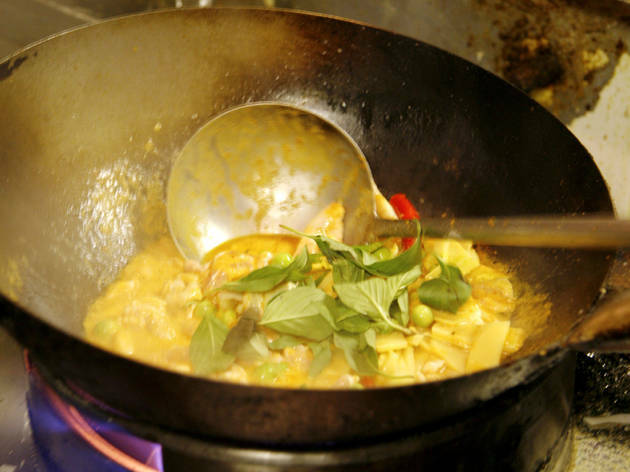 A vegetarian version of coconut milk-free jungle curry – packed with fresh green peppercorns, bamboo shoots and pea and apple aubergines – was also characteristically blistering in heat. Boiled and deep-fried ‘son-in-law eggs’, served in tangy tamarind sauce and scattered with nutty fried garlic, made a delicious, mouth-cooling addition to a spicy meal. 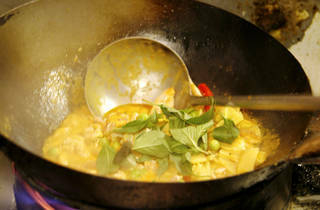 Regular crowd pleasers such as pad thai or Thai green curry are also offered, and the drinks list contains the usual range of Thai beers, teas and a handful of wines. 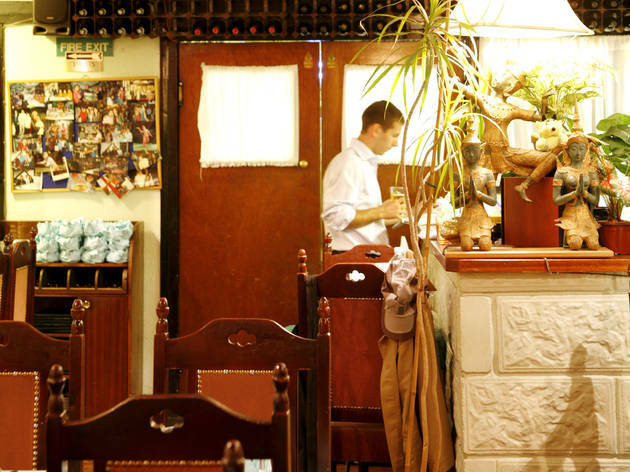 Some diners have found the service a little brusque, but we’ve always found it amiable. 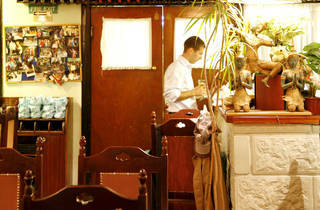 Friendly staff and beautiful, honest Thai food. The food'safety really good - try the raw prawns with chopped garlic and fish sauce, if you're feeling adventurous! ...It doesn't. It goes to the owner. I have been coming to this Thai restaurant since I was a child back in the early 90's and I still go there to this day with my family, the food is still absolutely delicious today as it was back then and as for the staff, they have and always are courteous towards me and my family!!! Before commenting on the owner, please do not assume that he is who you think he is. The owner never arrogantly points himself out that he is the owner, in fact he prefers for the customers not to know. The food is made fresh, so unless you're a picky eater, I'm not sure what the bad reviews are about? The food is full of flavour and is better than most Thai places, if your favourite eateries include Wagamana then Esarn Kheaw isn't for you. You must have a bland palette and Esarn Kheaw's food is far from bland. I booked this res't for a few of me and my friends. I was scared after reading the reviews but I found them untrue, the oweners were friendly and kind. The food was fantastic especially the starters so well done to the chef (may be they got a new chef). I will recommend this res't to others anyday and will definatly go again and seeing as it is good enough for the Thai Royal family as they eat there whent hey come to London then it is good enough for me. Well done to you all. Yummy authentic esarn food! 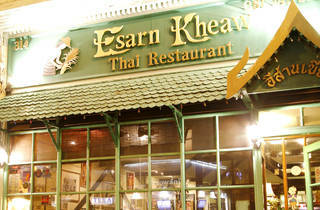 The laab, sua rong hai and the som tam are all as good here as in Esarn itself! The owner is a quirky character, but I found him to be incredibly friendly and likeable. Downside: inconsistent opening times/days. UNbelievably terrible service. The man who runs this place is the rudest person I have ever seen work in hospitatliy. I called the restuarnt to check their BYO policy because ti is not listed onthe website.They told me I could bring wine and even said there was off licens near by - we were greeted by the owner who simply yelled at us 'if yu open that it costs £10.50'. He then told me that it was the waitress fault for not telling me on the phone. He said he heard her not tell me. But it is a rule and it will cost £10.50 to open. We had bought acheap bottle fromTesco and were going to agig afterwards so did not want to take it withus but they would not budge on the ridiculous corkage charge. The manage sent the waitress ovr to apologise but she coul not offer us any compromise on the corkage. Service was quite slow generally and they also put 15% service on the bill! I must say that the Tom Yum soup was a nice flavour but it was £8.50 and mostly mushrooms. The owner manager needs to take a look at his customer serviceand alsothe way he treats his staff. Truly appalling. My father lives in Thailand, so I spend around 8 weeks a year over there. 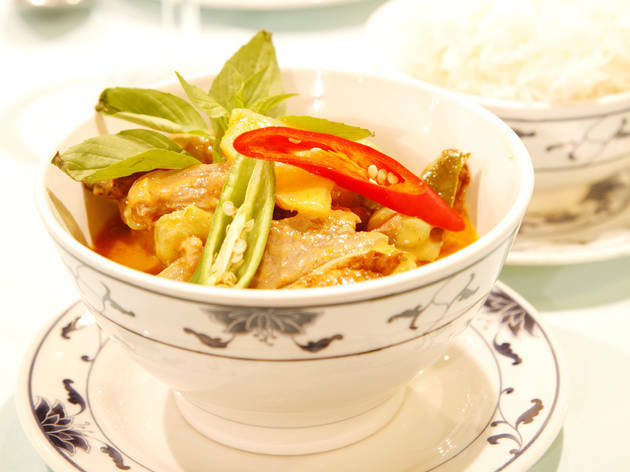 I have eaten in Thai restaurants all over London, and this is still one of the best! The last time I was there it was 2008 and not a thing has changed, Still the same shabby interior and the same eccentric staff. Browsing through the other reviews, I can appreciate how some people may find the service to be rude or distasteful, but in reality it is absolutely fine, They are very knowledgeable off the menu and happy to recommend dishes. Apart from the young waiter, they are not overly talkative, they are attentive with drinks and religiously check back on the food with each course. Unless you are a ridiculous prude, with no sense of humor or foreign culture then you will have no problems at all, and if you are then get over it. 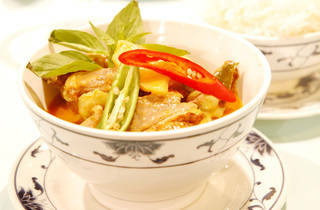 Its best damn Thai food in the city (Thai 101 Kings Street a close second) .